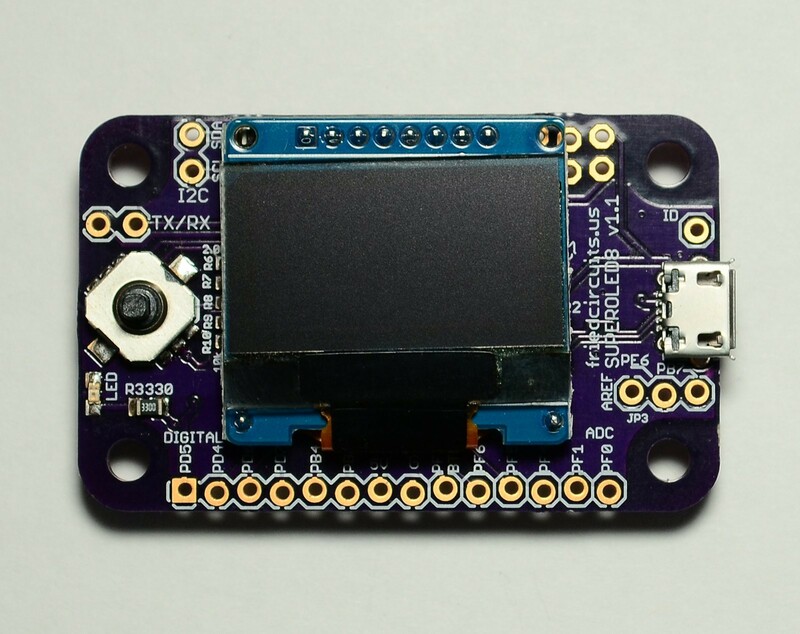 Interesting development board from hackaday.io with ATMega32U4 and OLED display. You can use Arduino IDE or Atmel Studio for coding. You find schematic, PCB and example firmware on github.